Among some of the most serious workplace injuries, spinal cord injuries often result in lasting pain and physical limitations either temporarily or permanently. They are also expensive injuries to treat. Therefore, workers who have suffered spinal cord injuries on the job deserve to be properly compensated for their medical expenses, lost wages and any future medical care and ongoing rehabilitation they may need. At the law firm of Pulgini & Norton, LLP, our attorneys have assisted people throughout the Boston metropolitan area and elsewhere in Massachusetts who have been injured in serious on-the-job accidents and other types of accidents. Working together with our clients, we seek to understanding the full impact their injuries have on their lives, and then use our resources to pursue maximum compensation on their behalf. Contact us to schedule a free initial consultation to discuss your situation. Call our office to learn more toll free at 781-843-2200. The spinal cord is the central hinge of the human body, so any injuries to it can have lasting and devastating effects on your day-to-day activities. 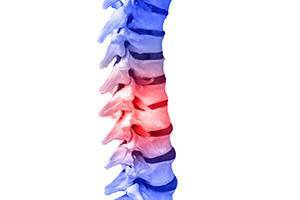 Serious accidents can result in paralysis, including paraplegia or quadriplegia. Whether sustained in an auto accident, construction accident, slip-and-fall or any other type of accident, spinal cord injuries can leave workers and their families struggling with the physical and financial burden of establishing a new routine. For more than 40 years, our firm has helped workers who have suffered spinal cord injuries and their families recover workers’ compensation and/or Social Security Disability benefits to mediate the costs of maximum rehabilitation. If your injury was caused by another’s negligence, we may also be able to pursue third-party liability benefits to ensure you receive the compensation you deserve. If you or a loved one has suffered a spinal cord injury, contact our firm to schedule an initial consultation with one of our experienced Massachusetts lawyers. You may e-mail our firm here or call one of our three offices in Braintree, Hyde Park or Downtown Boston toll free at 781-843-2200.